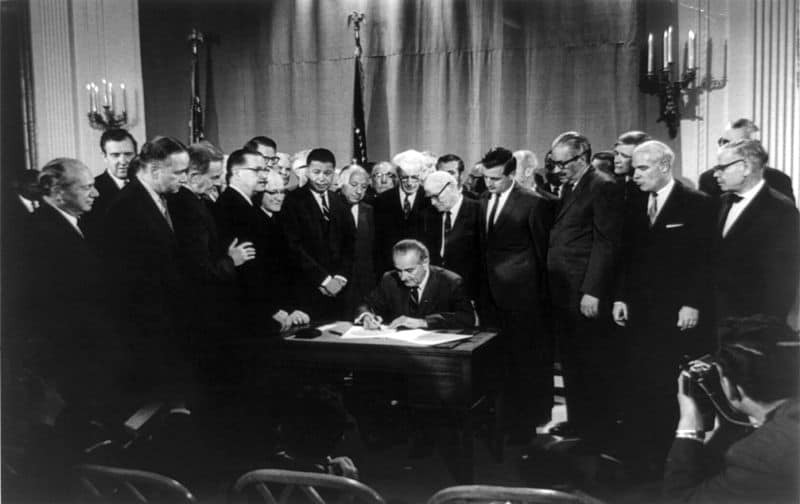 The Fair Housing Act, passed fifty years ago today, was a critical victory of the Civil Rights era and an effort to address generations of systemic racism in housing policy. The Fair Housing Act was indeed a victory – but it wasn’t perfect, and didn’t come close to rectifying the injustices that, by 1968, were already ingrained in American communities. This unraveling of fair housing policy comes at a time when we need it – and perhaps need it more – than at any time since the Fair Housing Act was first passed. In 2018, the nation’s housing crisis has reached emergency levels. The Trump administration has proposed cuts that will devastate HUD funding even further. All of this will make it even harder for people to afford the basics: health care, food on the table, and a roof over their heads. Our affiliate organizations in thirty states are now building power to win housing justice in their local communities. We are uniting the best experts we know – the people directly affected – to envision a more just future. Only a HUD that’s fully funded and empowered to fulfill the promises of the Fair Housing Act – and goes even further – can meet the real needs of the American people.